Indian National health website has been hacked by the hackers with pro- Pakistan slogans on it. On Monday, according to the sources the NHM website of India which they have claimed to be attacked by some Pakistani hackers, posted messages like 'Give free rights to Kashmiri’s' on it as well as anti-India slogans. 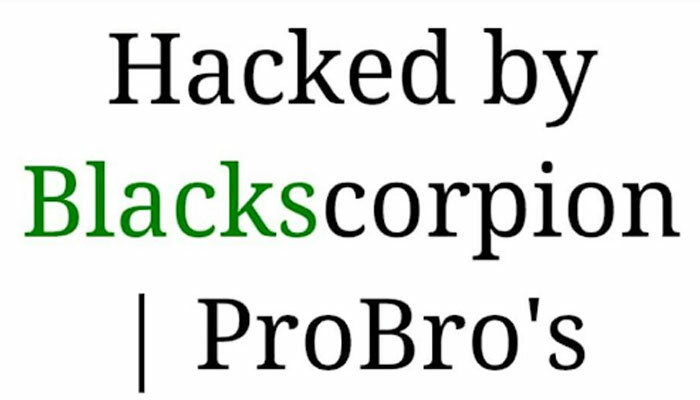 As on opening website the front page showed several messages with the name of organization named as Blackscorpion ProBro’s on it. The sources further state that there was no sensitive data on the website. As per sources the website is still being recovered.